I'm shocked to see that every threads dedicated to Chopin are dead... and short! He's my favorite piano composer, maybe even my favorite composer, no matter the discipline; his music just speaks to me. I want all of his music played by his "best" interpreters, starting with his Preludes. Witch pianist should i check out for these particular works? NOTE: I prefer emotional interpretations over "technical fantasy"; the more faithful to the scores, the better. Preludes: Argerich for a white-hot, extrovert performance. Moravec for a more poetic, subdued take. Both are emotional, though here (and below) I don't know about which is truer to the score. Nocturnes: Rubinstein's second set, comes on two CD's with a great recording of the Scherzos. Or Moravec, again for his gorgeous tone and better sonics. Or Arrau, who I enjoy most of all for his deep, expressive readings. Ballades: I really like Perahia here in all four. I like Rubinstein for a more extrovert approach. Mazurkas: Luisada is great, very romantic with tons of rubato. Rubinstein is good too. Waltzes: I recently got Lipatti here and enjoy his playing. For better sound and great performance and value, Ashkenazy is excellent. His set includes the Preludes and the Schuerzos. 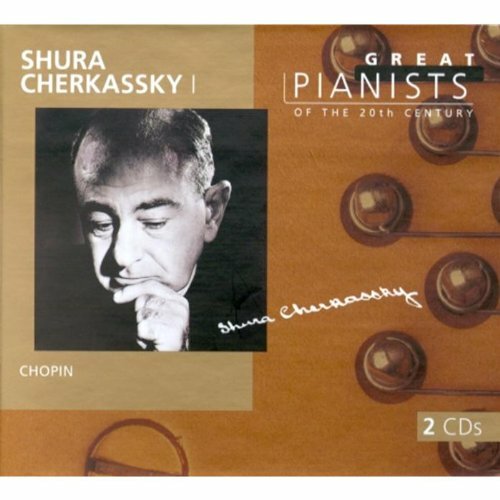 This 2 CD set is a great intro to his Chopin, which I find solid, consistent and impressive. Haven't heard Rubinstein, but I know that the issue on RCA red seal is a better, clearer transfer than the one that appeared in the AR Collection. Scherzos: Rubinstein, either coupled with his Nocturnes or his later version coupled with the Ballades. Richter has these recorded with many but not all of the Preludes on Regis. Polonaises: Ashkenazy is the only one I have heard, but they are so good I haven't looked elsewhere. Sonatas: For all three, I really love Andsnes. His are avail cheap too. Also, Ashkenazy's are coupled with his superb Etudes. Many other pianists have recorded individual sonatas, but I think its better to start with all three, especially since #1 is neglected. Concertos: Argerich/Dutoit great performance and sonics. I have a couple CD's on Naxos, the Waltzes and the Preludes/Impromptus. I don't know them well enough to recommend them, but they didn't wow me the first time I listened. Nocturnes: Moravec, Rubinstein, and I've heard some of the recent live Gavrilov recordings and am seriously impressed. Pollini's set has its merits but if you don't like Pollini you won't like his nocturnes. Concertos: These are not really my favorite Chopin works, but I find Zimerman and Rubinstein perfectly satisfying here; Gulda is also excellent in the 1st. As you can see, Rubinstein shows up more times than any other name. This is because I have yet to find a pianist that turns out as reliably superb Chopin nearly every time, covering almost his entire output. Ashkenazy, Rachmaninov, Michelangeli, Richter, and Zimerman are those that I've found to come the closest (although I must admit that my familiarity with Chopin pianists is not nearly as vast as someone's like sidoze's). Preludes - Argerich, Freire and Bolet. How does Ashkenazy's Polonaises (Decca?) compare with Rubinstein? Do you refer to Rubinstein's classic 2nd mono set (Vol. 28) on RCA? My Rubinstein is "The Chopin Collection" (11-disc RCA "Gold Seal" set); I can't be sure that it is the RCA recording of which you speak, but I imagine that it is. Either way, it's a hell of a set. I can't give a blow-by-blow comparison of the polonaises at the moment, but I will say that I probably listen to the Ashkenazy (approximately) as frequently as I do the Rubinstein. Ashkenazy fares particularly well with the famous A Major ("Military") one, for what it's worth. P.S. Have you heard Argerich in Op. 53? Antone know if the Ultima release of Moravec's Nocturnes has better sound than the Electra Nonesuch? Also, any idea where or if the Ultima is available? No, and no. Sorry George! I just read through the rmcr archives for about an hour. One guy says that the difference is negligible, another prefers the Nonesuch, as the Ultima to him is too top heavy and lacks that darker low end sound that the Nonesuch has. I can't imagine why, this is some incrdibly gorgeous playing! I prefer the Ashkenazy for two reasons. First, it contains all the Polonaises on 2CDs and there is some good music outside of the famous 7 which are normally recorded. I also think that Ashkenazy is the far better technician in these works yet creates the same sensation of 'dance rhythm' that Rubinstein does. To hear the way that VA plays the left hand octaves in the so called 'cavalry charge' section of the Op 53 is but one example of his affinity and feel for the rhythm of Chopin's works, just as Rubinstein had.